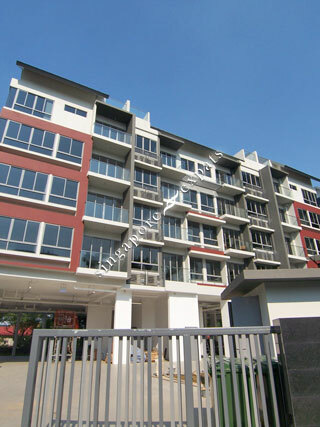 SUITES DE LAUREL is located at 2 JALAN ANAK BUKIT in district 21 (Clementi, Upper Bukit Timah) of Singapore. SUITES DE LAUREL is a 999-year Leasehold Condo development consisting of 72 units. SUITES DE LAUREL is completed / TOP in 2012 (estimated), developed by SUSTAINED LAND PTE LTD.
Educational institutions like THE SWISS SCHOOL SINGAPORE, HOLLANDSE SCHOOL, SINGAPORE KOREAN INTERNATIONAL SCHOOL, PEI HWA PRESBYTERIAN PRIMARY SCHOOL, METHODIST GIRLS' SCHOOL (PRIMARY) and BUKIT TIMAH PRIMARY SCHOOL are near to SUITES DE LAUREL. SUITES DE LAUREL is accessible via nearby BEAUTY WORLD, KING ALBERT PARK and SIXTH AVENUE MRT Stations. Great location, great amenities and excellent value for price. Away from the hustle and bustle of the city yet with easy access to it. Walking distance to higher institutions like Singapore Institute of Management and Ngee Ann Polytechnic.